Let your imagination take you to a place where you find beauty and strength in the small things. 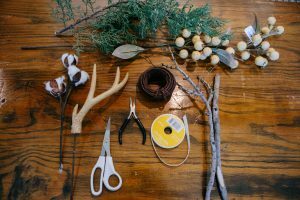  Gather the items that are most appealing to you in texture, color and smell.  Choose the strongest branch(es) as your base. 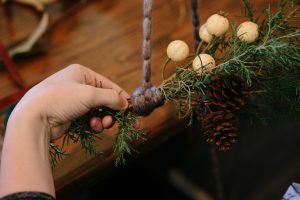  Attach the greenery by placing it around the branch(es), wrapping the floral wire and then the ribbon around the greenery and branch(es) to secure everything in place. Use twine, floral wire or hot glue to secure more delicate items such as berries or pinecones. 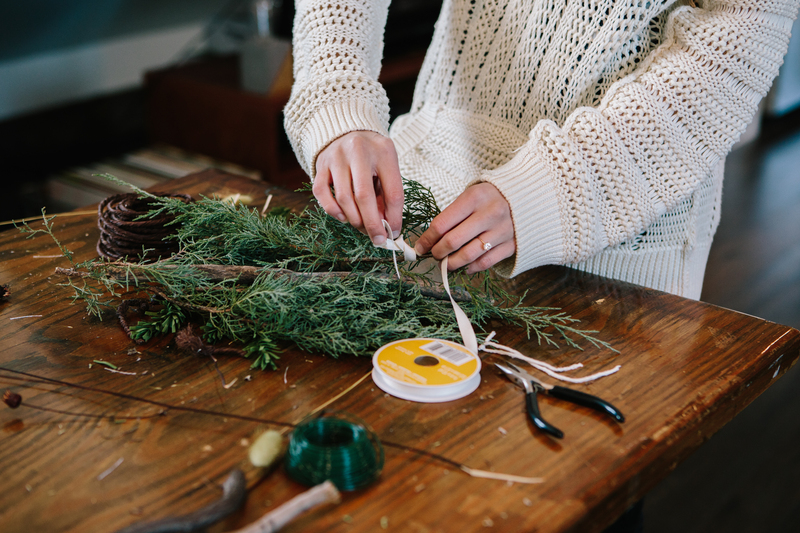  Finish by attaching ribbon or twine to your beautiful wreath. 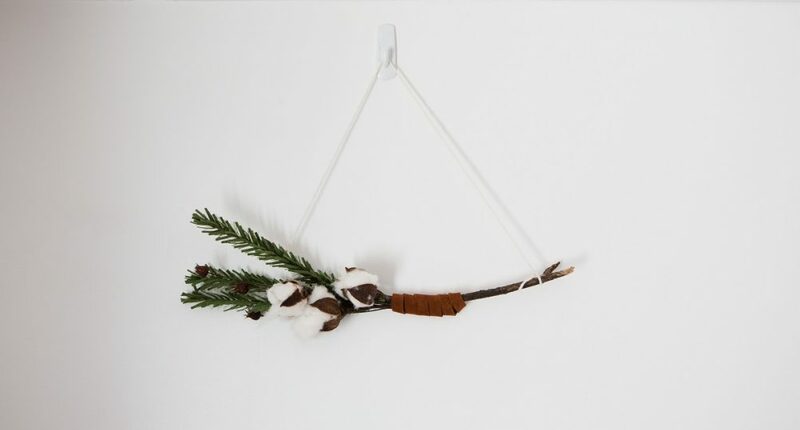 Hang your wreath where you can see and admire it. TIP Use faux branches and greenery from your local craft store to make your creation last through the winter or until next year. 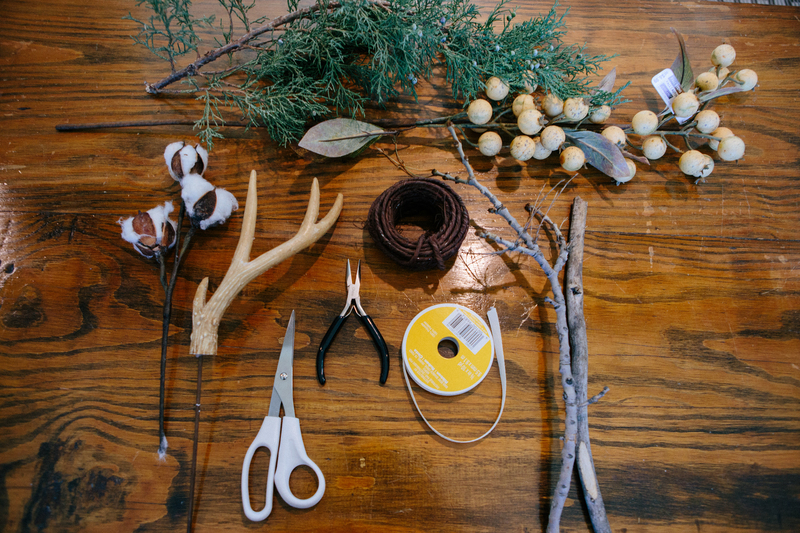 TIP Ask your girlfriends to find items to share, then make this a girlfriend DIY get-together!